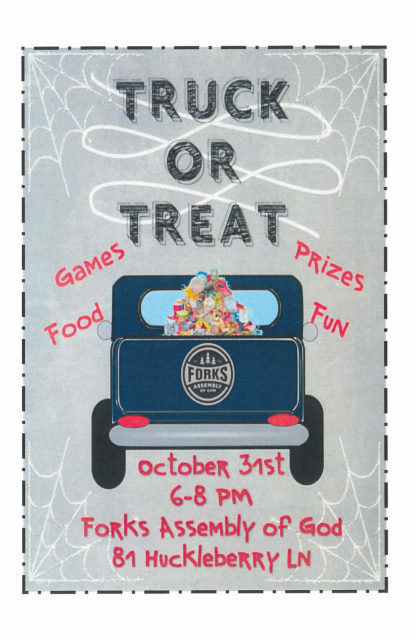 6:00 p.m. – 8:00 p.m..
Over 30 vehicles to visit on the Campus of the Assembly of God in Forks! Games, food and prizes for the entire family! Come join us for a night of fun for all!